After our breakfast at Nijo Fish Market in Sapporo, we set off to Furano & Biei. 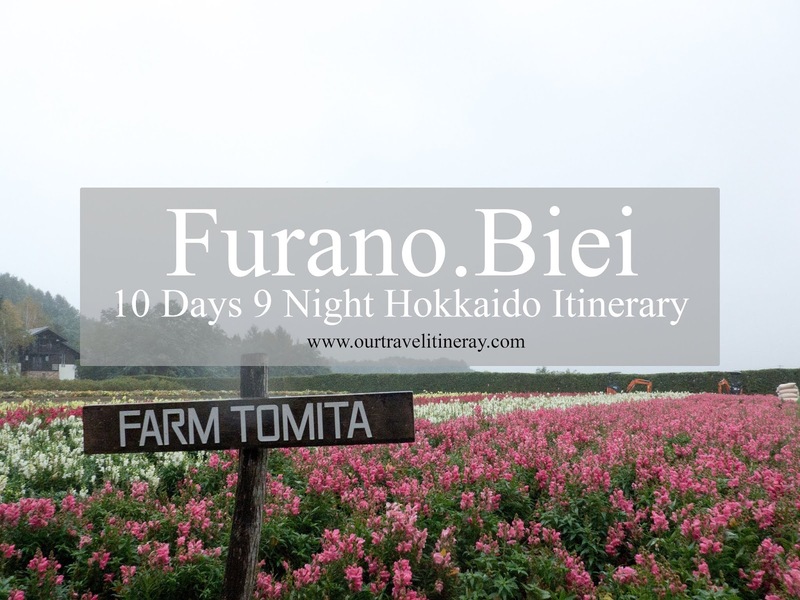 Furano (富良野) and Biei (美瑛) are towns in the centre of Hokkaido. The two towns are well known for their beautiful picturesque rural landscape. One can witness the beauty of lavender fields in July and other flowers such as sunflowers, lilies and poppies. During winter, this place turns into a popular place for winter sports. 2 hours away from Sapporo, we arrive at Farm Tomita in the afternoon. 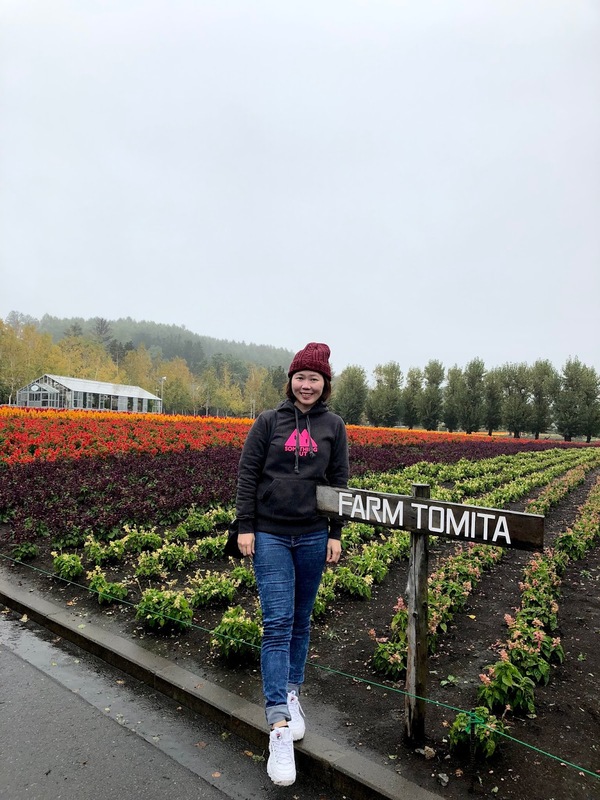 Farm Tomita, the popular lavender field in Hokkaido, is a popular spot for one to enjoy the view of lavender. Although the full bloom of lavender is during late July to August, there are other flowers while we were there. Despite the drizzle, my family and I had a great time walking and enjoying the colourful row of flowers. 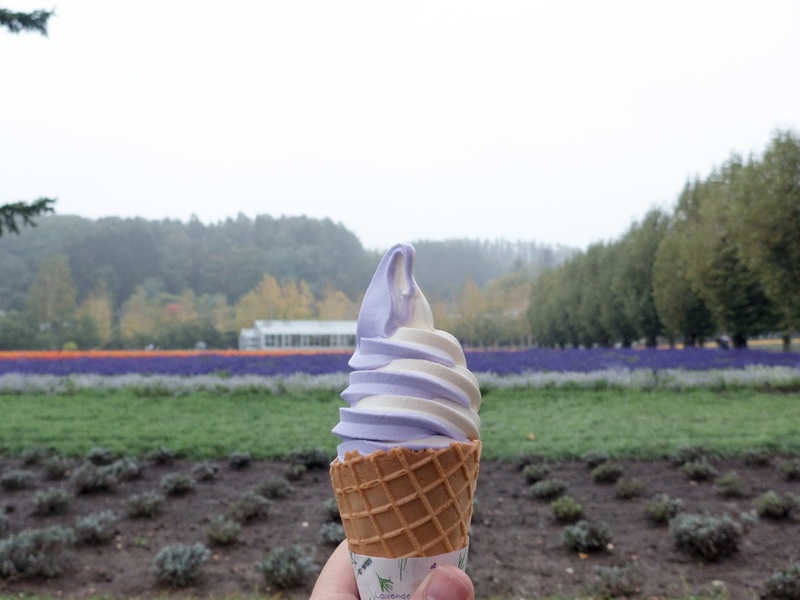 Oh, don’t forget to try the lavender ice cream! They are delicious! After the amazing trip to Farm Tomita, we visited the Blue Pond. 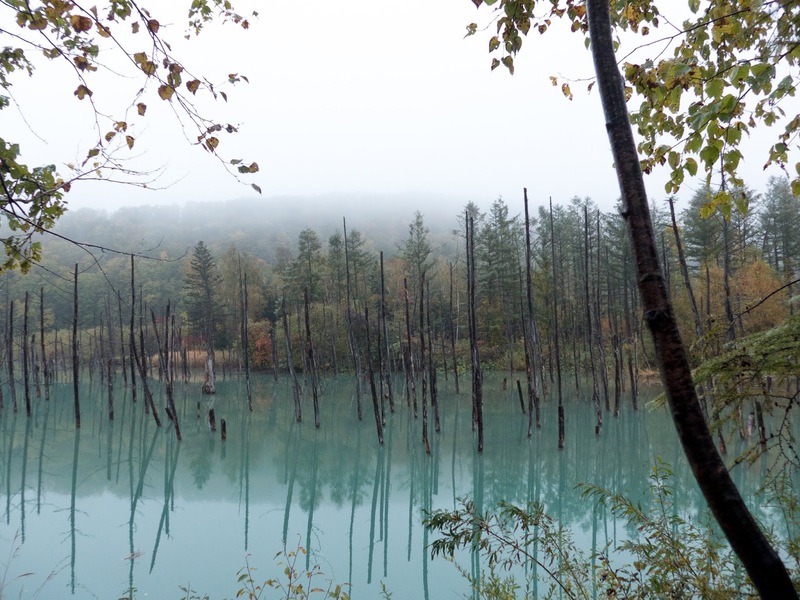 The blue pond isn’t a popular place until recent years. The Blue Pond is a man-made pond in Biei to protect the town of Biei from volcanic mudflow. The colour was an accidental presence of colloidal aluminium hydroxide in the water. We arrived in the afternoon and was greeted by the amazing emerald blue shining on the pond. Do check out Shirahige Waterfall that is 5 minutes away from the Blue pond! We continue our journey to Asahikawa and spent a night there. 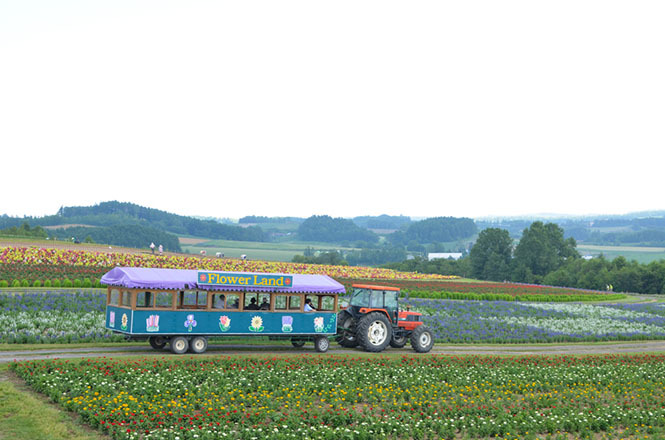 If you can’t get enough of flowers, you may want to stay at Furano for a night. We read that Flowerland Kamifurano is beautiful and less crowded. They even have a sightseeing tractor to bring you around (500 yen for adult, 300 yen for children)! 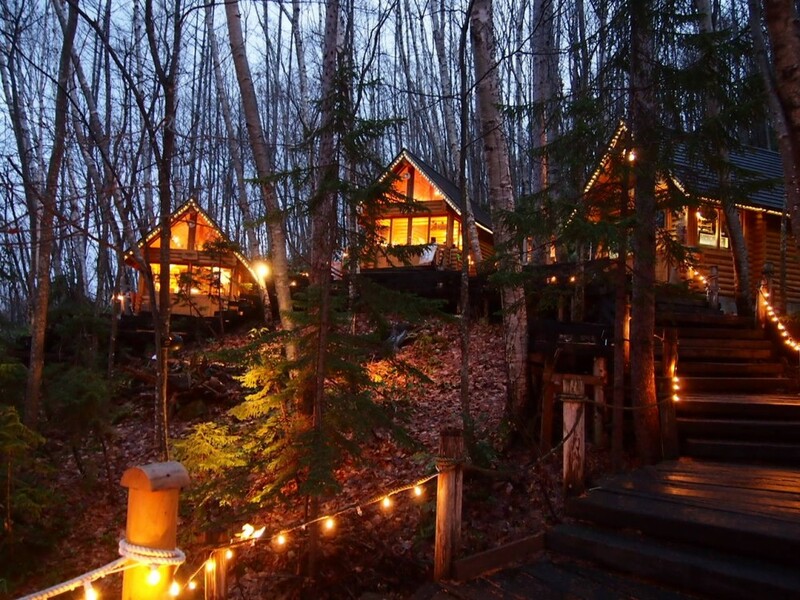 Made up of 15 log houses, Ningle Terrace is a magical shopping area found in the forest. The walkway is beautiful especially when it is lit up at night. If you are staying around Furano, be sure to visit and be charm by the fairytale-like arts and crafts village.